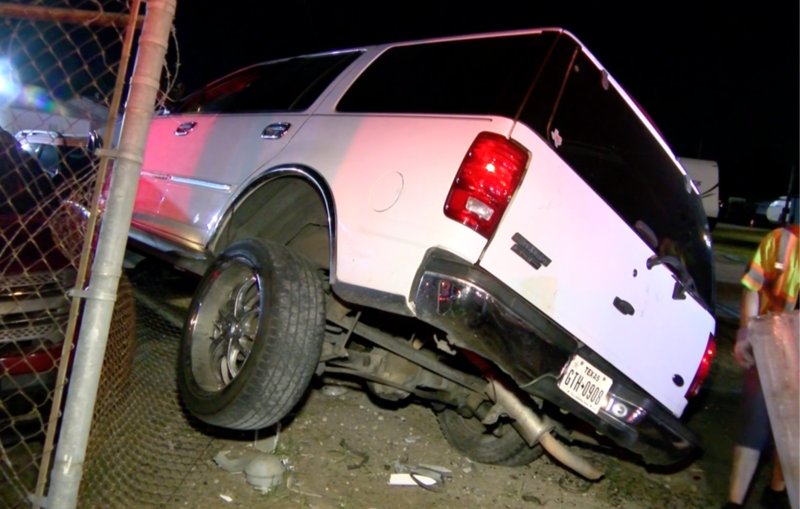 A driver lost control of his vehicle while driving on Interstate 45 early Thursday morning. The driver crashed into a used car dealership and had to be extricated from his vehicle by emergency crews. Harris County, Texas – August 2, 2018: At approximately 1:00 AM this morning, a vehicle was traveling northbound on Interstate 45 approaching FM 1960. The driver lost control of the vehicle and flew off the freeway. While crossing the frontage road, the driver clipped a moving passenger car and eventually came to a stop in a used auto dealership. Several vehicles, including a motorhome and an SUV that were for sale at the dealership were damaged. Emergency crews with the Ponderosa Fire Department and Cypress Creek EMS worked to free the trapped driver from the vehicle. The driver sustained minor injuries from the accident and was transported to an area hospital. There is no official word on what caused the crash, however, alcohol and speed were believed to be a factor.